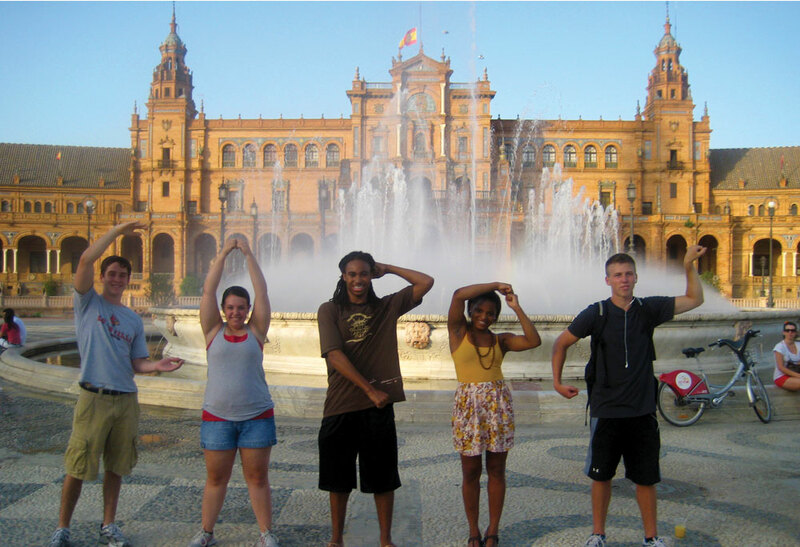 Barcelona provided the perfect backdrop for a student looking for a busy city to study abroad. Within the first few days I had that feeling of a New Yorkesque lifestyle. The busy taxi filled streets into the late night, the never-ending selection of restaurants, bars, and shops, and the blended lifestyles of locals, travelers, artists, businessmen, and wonderers. Barcelona offered an endless list of experiences to be discovered, rather your interests are history, art, food, nightlife, or shopping. Along with taxis Barcelona provided a well-designed Metro that could get you anywhere in the city in under 30 minutes. The city offered a cultural melting pot that was not mimicked in many of the other cities I visited. This included the rebellious side of Catalonian culture, represented in areas such as El Raval, as well as the beach life represented throughout La Barceloneta. Barcelona’s big city lifestyle was not without the vast choices of food. From tapa bars to fine dining Barcelona had everything to satisfy your appetite. Being a coastal city the seafood was fresh and plentiful. There was no shortage of art on the menu either. This was represented through Antoni Gaudi’s architecture, the Picasso and various other museums, as well as the endless amount of street art. In Barcelona, there is no shortage of nightlife. Around just about every corner was an assortment of clubs and venues. With many of these night clubs not opening until midnight and going until 6am, Barcelona competes with American cities such as Vegas and Miami for the party until the sunrises club scene. There is no lack of extravagance at these clubs either, with many only opening in the last decade. Along with packing them full 7 days a week they also brought in some of the biggest artists from around the world. This included acts such as Tiesto, Wiz Khalifa, and Deadmou5. Along with there being an infinite number of options to choose from our study abroad group also received free guest list entry to many of the top clubs. By avoiding the usual high cover charges this made stopping in to take a look at many of the nightclubs far more favorable and led to nights of endless fun and entertainment. This entry was posted in Uncategorized by Jacob Sharp. Bookmark the permalink.